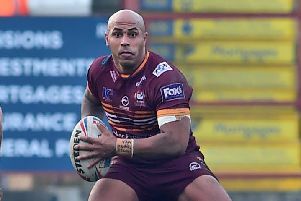 Two Batley Bulldogs supporters groups will be heading to the capital for Easter Monday’s Championship clash against London Broncos. The Batley Bulldogs Supporters Club depart Branch Road, Batley, at 9.30am and will be picking up at the Tap Rooms pub and in Birstall. The cost is £25 adults and £15 children. Call Dave King on 07428 107632 after4pm or text anytime. The Batley Bulldogs Independent Away Travel group will depart Batley town centre at 7.30am and will call for a breakfast in Coalville on the way. The cost of their trip is £20, including breakfast. To book contact Michael Gothard on 07516 302665 or message @Woodman bus on Twitter.